Lock in a great price for Hotel Miralago – rated 8.3 by recent guests! 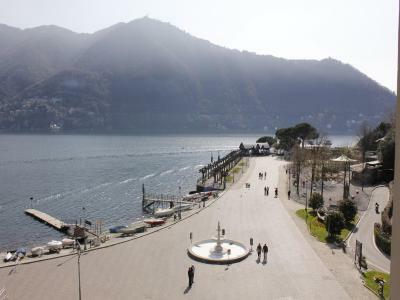 The location - central to Cernobbio and easy to get around the lake. The staff was unbelievable! Cannot say enough good things about the hospitality. The location was perfection! The bed was comfortable and the sheets were crisp every night. The bathroom though small had a great shower and was well equipped. The staff were great. The breakfast was well made and more than adequate. Nothing was good and this is my last reservation with booking , the credibility zero. I cannot say enough about this hotel. The location is perfect. We had a lake view room which was stunning and amazed us daily! There were craft fairs several days on the walkway to the ferry dock, and the dock being so close makes it so easy to travel on the lake. The entire staff could not have been more attentive. Location was great but the hotel itself was old, small and dirty. There are other options close by for half the price and better conditions. But if you want directly in front of the lake then there isnt much else to choose from. 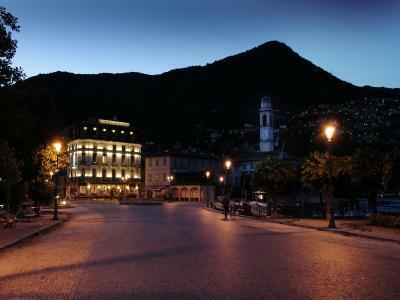 Cernobbio is a charming city and worth the trip. Set your expectations low on the accommodations but this is somewhat standard in all of Italy. The view from the room if the booked apartment is lakefront and has a balcony. The view from our room overlooking the lake was fantastic and the small balcony was perfect. The hotel is very well situated in Cernobbio and close to the ferry for a run into Como. 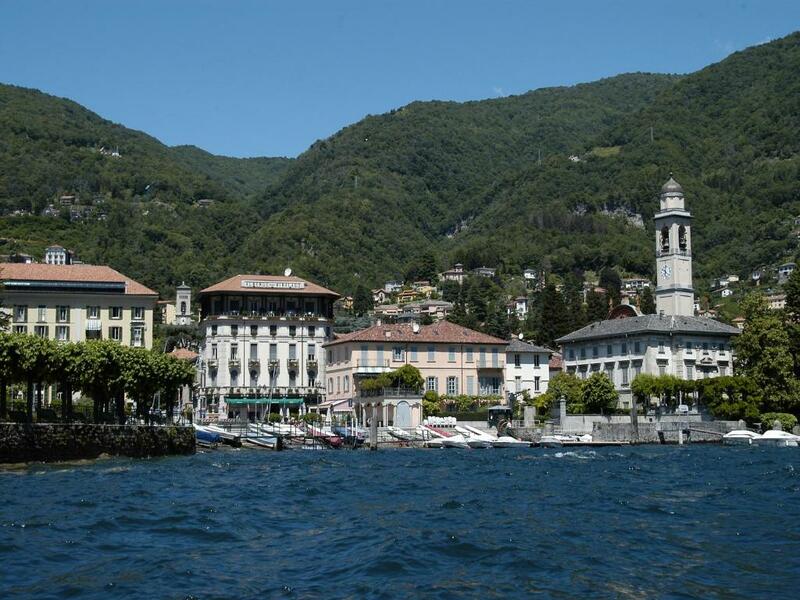 The hotel facilities and staff make this hotel on Lake Como very special, All the staff working for the hotel take that extra bit of care and attention to detail. 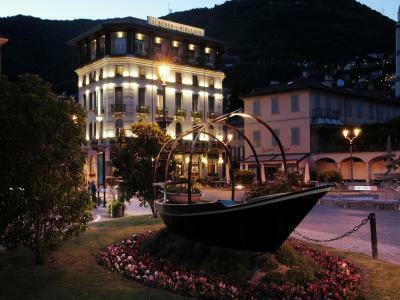 Best hotel in Cernobbio by a country mile. Location is great. Breakfast was great and plenty. Hotel staff was very friendly and informative. The hotel as such is really nice and suite the zone romantic and attractive atmosphere. Love also the restaurant in front of the hotel. Compliments the experience. Hotel Miralago This rating is a reflection of how the property compares to the industry standard when it comes to price, facilities and services available. It's based on a self-evaluation by the property. Use this rating to help choose your stay! 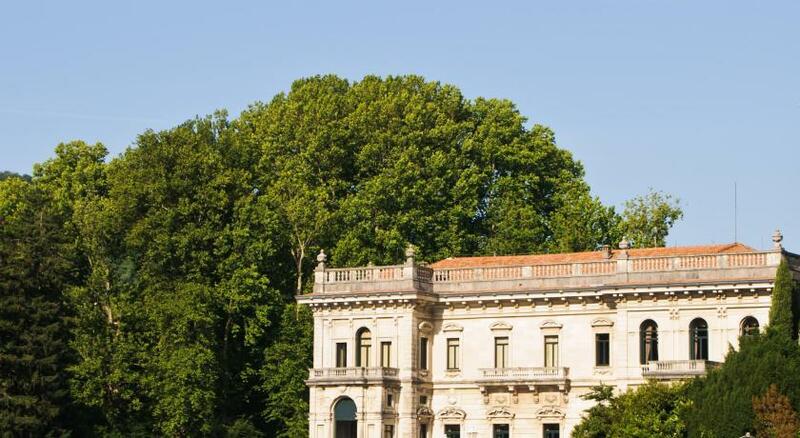 One of our top picks in Cernobbio.Offering panoramic views of Lake Como, Hotel Miralago is in Cernobbio’s center, 150 feet from the lake shore. Rooms are air conditioned and feature satellite TV. Accommodations at Miralago comes with a mini-bar and a private bathroom with shower and toiletries. 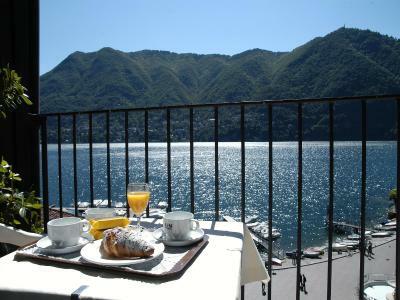 Some rooms offer views of the lake or the main square, and some also have a private balcony. 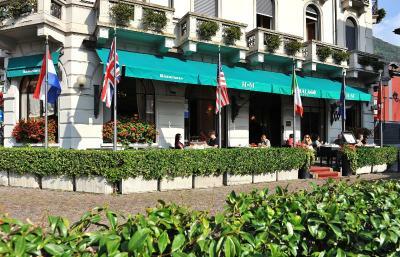 The restaurant at Miralago Hotel overlooks Lake Como and serves international cuisine and specialties from the Lombardy region. A breakfast buffet including both savory and sweet food is available every morning. WiFi access is provided in the whole building and a private car park is located 650 feet from the building. 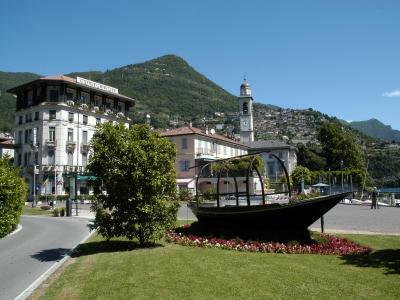 Hotel Miralago is within walking distance of many bus stops, providing links to Como's city center in around 15 minutes. Chiasso and the A9 motorway are just a 5-minute drive away. When would you like to stay at Hotel Miralago? Classic-style room with air conditioning, a satellite flat-screen TV and a private bathroom. 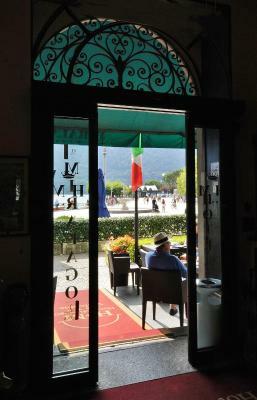 Some rooms overlook the historic center of Cernobbio, and others overlook the surrounding mountains. Air-conditioned room offering panoramic views of the lake or the square. Rooms with a balcony are available upon request. Overlooks the historic center. This air-conditioned room with a bathroom has a minibar and a satellite TV. This room has a large double bed and a bunk bed. 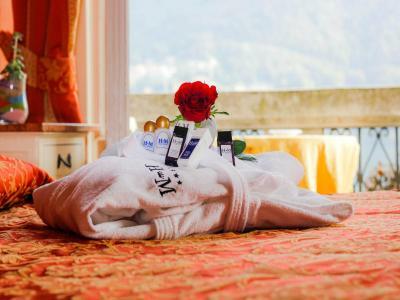 Overlooking either the historic center of Cernobbio or the surrounding mountains, this air-conditioned room features a minibar, a satellite flat-screen TV and a fully equipped private bathroom. House Rules Hotel Miralago takes special requests – add in the next step! Hotel Miralago accepts these cards and reserves the right to temporarily hold an amount prior to arrival. Please inform Hotel Miralago of your expected arrival time in advance. You can use the Special Requests box when booking, or contact the property directly using the contact details in your confirmation. If being really critical, the bathroom showers need more power. All was good. It rained a lot but what can you do??? The hotel staff was wonderful. Location was great with a very warm and courteous hosts. Standard rooms are small (also the bathroom and shower,) but okay for a short stay. 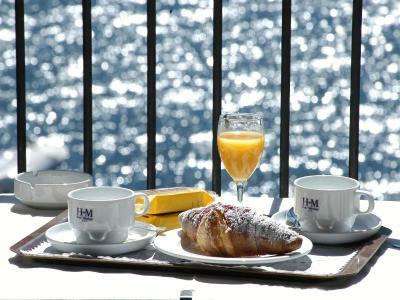 Breakfast in single room not included in room price (15 EUR extra). 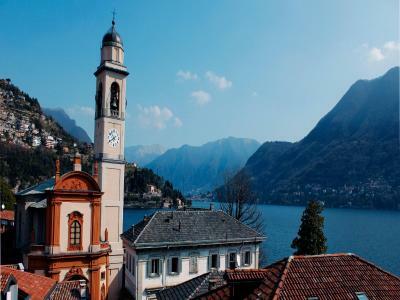 Fantastic location, the hotel has loads of charm and is ideally located near the lake and away from the motorway, the boatstop taking you to Como is just 2 steps away. We took the private parking which was okay as not much cars were in there, but the parking spots are small. Very good breakfast. Bedrooms are a little scruffy and in need of redecoration . The bar / lounge was in the reception area and lacked any atmosphere . The staff were so welcoming and friendly and Nothing was too much trouble - taxis , places to go etc . The restaurant was good too . Fresh croissants and breads and delicious honeycomb for breakfast . Rooms were very clean and a bonus was tea and coffee making facilities (often not available in European stays . Location is just fantastic overlooking the lake and less than a 5 min walk to the ferry boats . We found nothing at all to dislike. Our stay was quite something. Everything from the location, to the staff, to the amenities - absolutely everything. The restaurant menu, food quality and service were all outstanding. What a find! Very comfortable room, great location, excellent breakfast. The staff were great, couldn't fault the place.